Special Offer has now officially closed. 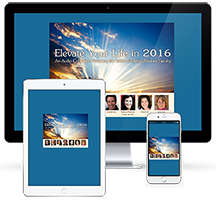 Get Instant and Unlimited Access To Powerful Support Tools & Mentoring to Awaken Your Power to Create the Future of Your Life in 2016 & Beyond. One thing I know for sure is this: the opportunity for you to have greater success and impact, express your creativity, experience deep intimacy, and meaningfully contribute—is WAY bigger than you can imagine. By listening to the Women on the Edge of Evolution seminars, you’re going to discover the unprecedented opportunities available to women right now to experience a greater level of success, in each and every area of your life. You’ll get the crucial support you need to break through limiting beliefs, overcome your doubts and fears, and open yourself up to those opportunities. You’ll also understand what it means to be a woman on the edge of evolution, and how your full self-actualization is critical for the future of our world. I’m Claire Zammit, founder and leader of the Feminine Power programs, which have helped more than 500,000 women awaken the power they hold within them. And I’m honored to have the chance to help you awaken yours! The journey to get from where you are to where you want to be can be uncertain and challenging, and can feel incredibly isolating. That’s why I’ve sought out the women leaders who really do have the answers. With each audio you’ll be mentored and guided by many of my personal heroes, friends and colleagues—women who have blazed a trail for all of us! They’ve been there, exactly where you are, and they’re linking arms with you and sharing the tools and keys they know work to support you to step out of the shadows and into your brilliance, so you can experience the authentic success, love, power, creativity and impact you were born for! The Women on the Edge of Evolution series will help you make small, yet powerful shifts in these core areas that will move you from doubting your ability to change your life to stepping fully into your dreams and radiating possibility to everyone around you. And you can experience the whole amazing series from the comfort of your very own home. Here’s what some of our past participants have said about this amazing series . . .
Get started right now with instant and unlimited access to all of the seminars from the Women on the Edge of Evolution Series. There’s never been a better time to step into the power and possibility ahead for your life. You deserve to have a life filled with meaning, purpose, and prosperity and I promise … it’s waiting for you. Claire a transformational teacher, leader, and creator of the Feminine Power courses serving hundreds of thousands of women from more than 100 countries. Claire’s mission is to is to empower women to fully express their gifts and talents by sharing the Feminine Power teachings that she credits as the source of her own fulfillment, success and impact. She is also the co-founder and president of Evolving Wisdom, an online platform for transformational education that features teachers including Neale Donald Walsch, Jean Houston, Deepak Chopra, John Gray, Eckhart Tolle, and Marianne Williamson, among others. 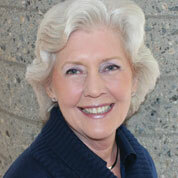 Claire is a member of the Transformational Leadership Council and was the recipient of its achievement award. And, in 2014, she received the Just Like My Child Foundation’s Women’s Leadership Award in recognition of her contributions to funding The Girl Power Project. 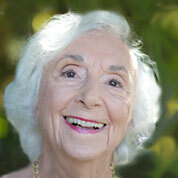 Jean Houston is one of the foremost visionaries of our time, and a principal founder of the Human Potential Movement. She is the author of 28 books, including The Possible Human, A Mythic Life: Learning to Live Our Greater Story, and The Wizard of Us. A former advisor to the Clinton family, she also helped Hillary Clinton write It Takes A Village To Raise A Child. As an advisor to UNICEF and the United Nations in human and cultural development, she has worked to implement some of extensive education and health programs around the globe. As a pioneer and visionary leader, Jean shows us how by empowering ourselves we can change the world. Lynne is a global visionary committed to alleviating poverty and hunger and supporting social justice and environmental sustainability. From working with Mother Teresa to the refugee camps in Ethiopia and the threatened rainforests of the Amazon, her on-the-ground efforts have brought her a deep understanding of the social tapestry of the world. She co-founded and sits on the board of the Pachamama Alliance, an organization dedicated to protecting the Amazon rainforest, and is author of the bestselling book The Soul of Money. How to serve the world from a place of abundance rather than self-sacrifice, so that the greatness of your gifts can become fully unleashed! 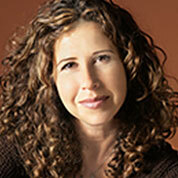 Arielle is a leading personality in the personal growth and contemporary spirituality movement. She is a relationship expert, speaker, blogger for the Huffington Post and the producer and host of Evolving Wisdom’s Art of Love series. She’s the author of Wabi Sabi Love: The Ancient Art of Finding Perfect Love in Imperfect Relationships and the international bestseller, THE SOULMATE SECRET: Manifest The Love of Your Life With The Law of Attraction. Her latest book is Love On The Other Side: Heavenly Help For Love and Life. 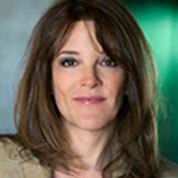 Marianne Williamson is an internationally acclaimed spiritual author and lecturer. She has been a popular guest on television programs such as Oprah, Larry King Live, Good Morning America and Charlie Rose. Six of her eleven published books have been New York Times Best Sellers. Four of these have been #1 New York Times Best Sellers. A Return to Love is considered a must-read of The New Spirituality. In 1989, she founded Project Angel Food serving homebound people with AIDS in the Los Angeles area. Marianne also co-founded the Peace Alliance. And she serves on the Board of Directors of the RESULTS organization, working to end the worst ravages of hunger and poverty throughout the world. Marci is a celebrated transformational leader, and one of the nation’s leading experts on happiness, success and unconditional love. She is the author of the runaway bestsellers Love for No Reason and Happy for No Reason, and six of the Chicken Soup for the Woman’s Soul books. She was also featured in The Secret. President and co-founder of the Esteem Group, Marci inspires people with her breakthrough methods for personal fulfillment and professional success. What it really means to love yourself, how to do it, and why you’ll never find fulfillment unless you put this first! Power practices for happiness and joy that will fast-track your ability to impact your outer world. 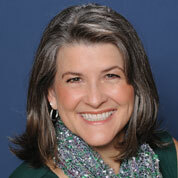 Lisa is the founder and CEO of Motivating the Masses, an international training and development company, and a founding member of the Transformational Leadership Council. She’s also the author of six bestselling books. Her own story of transforming her life from a struggling single mom on public assistance to Millionaire Entrepreneur is the inspiration behind her bold mission to teach others that it is possible to do the same. Featured in The Secret, Lisa has since appeared on numerous TV shows, including Oprah, Extra, The Today Show, and Steve Harvey. Called the “Entrepreneurial Guru for Women” by Business News Daily, Ali runs a Inc. 500-ranked, global enterprise devoted to empowering women entrepreneurs, providing business and leadership coaching and advice to over 250,000 followers via AliBrown.com, her social media channels, and her Glambition® Radio show on iTunes. Named a Forbes Women to Watch and an Ernst & Young’s Winning Women Entrepreneurs, Ali is also an Entrepreneur Delegate for the UN’s Foundation’s Global Accelerator. 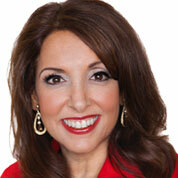 She has appeared on numerous TV shows and networks including Secret Millionaire, Fox Business, and CNN. Arianna is President and Editor-in-Chief of The Huffington Post, which won a Pulitzer Prize for national reporting in 2012. She is also a nationally syndicated columnist and author of 13 books, including the New York Times bestseller Thrive: The Third Metric to Redefining Success and Creating a Life of Well Being, Wisdom, and Wonder. In 2013 was named to the Forbes Most Powerful Women list. In 2006, and again in 2011, she made the Time Magazine list of the world’s 100 most influential people. 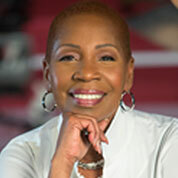 Iyanla Vanzant is the star of OWN’s award-winning series “Iyanla: Fix My Life” on the OWN network, and a popular regular teacher on “Oprah’s Lifeclass.” She is a mother, survivor, prominent spiritual life coach, empowerment orator, minister, and New York Times best-selling author whose focus on faith, personal development and loving relationships has captivated and inspired audiences around the world. How to fast-track your journey to overcoming self-doubt, fear and insecurities by tapping into the greatness of your true Self. Christy is the New York Times bestselling author of The Art of Having it All and CEO and founder of the Quantum Success Coaching Academy. She has appeared on The Today Show and The Morning Show, and been featured in numerous national magazines, Her work is promoted by renowned teachers including Wayne Dyer, Brian Tracy, Abraham-Hicks, and Louise Hay. Christy’s messages and teachings reach up to 125,000 people each month, and have helped men and women around the world achieve their goals. 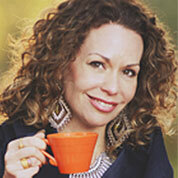 Zhena is a bestselling author, motivational speaker, CBS Radio Podcast host, publisher and the founder of Zhena’s Gypsy Tea. Her book, Life by the Cup is in development for a TV series. Celebrated for her work in fair-trade business practices, Zhena was named a Country Living Women Entrepreneur Honoree, a Top Woman in Business by Pacific Business Times, 20 most inspiring women in Coco Eco Magazine, and has received the Enterprising Women of the Year award and the Socially Responsible Business award, among others. Zhena’s inspiring story of creating her Gypsy Tea company and publishing imprint and why being yourself fully is the foundation for any business that will bring happiness to you and the world. 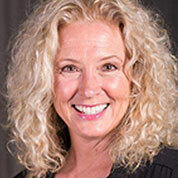 Lisa is the creator and host of “The Aware Show,” a popular talk radio program about personal growth and self-development in all areas of life. 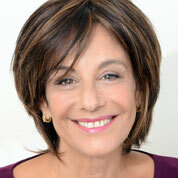 She also hosts programs on Hay House Radio and for Gaiam TV. Combined, she reaches more than 3 million listeners and viewers every month. Considered an expert in the field of lifestyle and transformational media programming, Lisa is committed to providing messages that inspire positive growth and change. She lives in Southern California. Barbara Marx Hubbard has been called “the voice for conscious evolution of our time” by Deepak Chopra and is the subject of Neale Donald Walsh’s book The Mother of Invention. 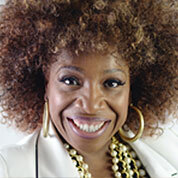 A prolific author, visionary, social innovator and educator, she is founder of the Foundation for Conscious Evolution. 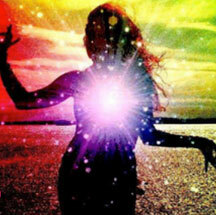 Its purpose is to accelerate our conscious evolution. She is the author of numerous books, including The Hunger of Eve: One Woman’s Odyssey toward the Future; Our Crisis is a Birth – An Evolutionary Interpretation of the New Testament; Conscious Evolution: Awakening the Power of our Social Potential. She’s a member of the Evolutionary Leaders Group and the Transformational Leadership Council, and a co-founder of the Association for Global New Thought (AGNT), and The World Future Society. Leading on the Edge of Evolution: You Don’t Need To Know Where You’re Going to Get There! A leading authority on effective learning and youth development, for the past 30 years Bobbi DePorter’s Quantum Learning method has impacted more than 10 million children in academic camps and school classrooms across the US and beyond. The system emphasizes 8 Keys of Excellence, a system of personal responsibility and possibility applicable to any learning environment. 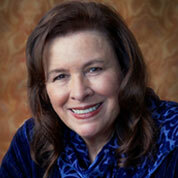 Bobbi has also authored or co-authored more than a dozen books on learning. She has received humanitarian awards from both the Transformational Leadership Council and Parenting 2.0. Why the best place to start is exactly where you are! Carol Tuttle, best-selling author of five books, and creator of Beauty Profiling and Dressing Your Truth, wants women everywhere to know how beautiful they are. Her online makeover program has transformed the look (and lives!) of women in over 80 countries, by awakening them to their unique inner beauty and giving them the expertise to create their own authentic style. Carol wants to help you learn the truth about your beauty so that you look fantastic and feel effortlessly confident—every single day! Tera is the founder of the world’s largest online resource of raw food cleansing and detoxification programs for women, Body Enlightenment. Through her programs and events she invites a community of over 100,000 women around the world to pick up their parsley sprigs, and march, dance, sing, jump or fly along the path to vibrant living. 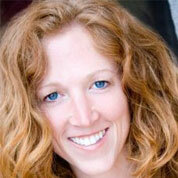 Alison is an author, educator and creator of the widely acclaimed “Queen’s Code” workshop series. She explores the good reasons behind the behavior of men and women, such as fundamental differences in the ways we think, act and communicate. Her dynamic programming offers simple, partnership-based solutions to improve our communication and intimacy by honoring ourselves and others. She’s known for her insight, sense of humor and ability to articulate the human experience and predicament of gender. 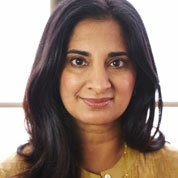 Mallika is the founder of Intent.com, a website focused on personal, social and global wellness. She is also an author; her most recent book, Living With Intent: My Somewhat Messy Journey to Purpose, Peace and Joy, chronicles her own struggle and journey to live the life of mindfulness and purpose to which she aspires. She has launched and been involved with numerous foundations and programs, including the Heal the World Foundation, and is a popular speaker at events including TEDX, LOHAS, and the Green Festivals, among others. Mom to Tara and Leela, Mallika and her husband live in Southern California. 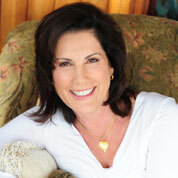 Former Miss USA, Terri is a love expert, energetic healer, and change-agent for women and their families. She is the award-winning author of The Enlightened Mom: A Mother’s Guide for Bringing Peace, Love & Light to Your Family’s Life. She’s been seen on Today, On the Record with Greta van Susteren, Hannity & Colmes, NBC New York and Good Day Atlanta. Terri is a wife, mom, stepmom, mompreneur, inspirational speaker and former television host. Her mission is to guide women and their families from emotional chaos to peace, passion, playfulness, miracles and abundance. Katherine is the bestselling author of Calling in “The One”: 7 Weeks to Attract the Love of Your Life, a licensed psychotherapist and relationship expert who has had the privilege of teaching hundreds of thousands of people. Katherine is also the creator of the Conscious Uncoupling process and author of the upcoming book, Conscious Uncoupling: 5 Steps to Living Happily Even After. She is the co-creator of the Calling in The One, Conscious Uncoupling and Feminine Power online programs. Vivian founded Just Like My Child in 2006 with the mission of giving vulnerable adolescent girls in Uganda a voice in their homes, schools and communities. Her leadership has already led to the empowerment of thousands of women and children in that country. 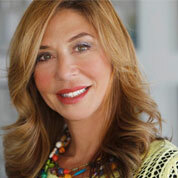 She is also an accomplished marketing consultant, entrepreneur and author. 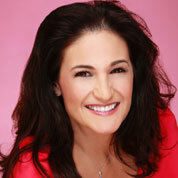 Some of her clients have included Deepak Chopra, Anthony Robbins, Dean Ornish, and Jon Kabat-Zinn. A native New Yorker, she now resides in Southern California with her husband and son. Sandra is the founder and CEO of eWomenNetwork, a women’s business-networking and event organization with 118 chapters operating in six countries. The eWomenNetwork Foundation has awarded cash grants to 101 non-profit organizations and scholarships to 147 emerging female leaders of tomorrow. Recognized by the International Alliance for Women as one of the world’s 100 Top Difference Makers and by CNN as an American Hero, Sandra is also the bestselling author of five books, including Succeeding Through Doubt, Fear & Crisis. you’ll also receive over $1300 in bonuses! Feminine Power Course, Advanced program or Certification training. unconditional joy, and earth-moving love! 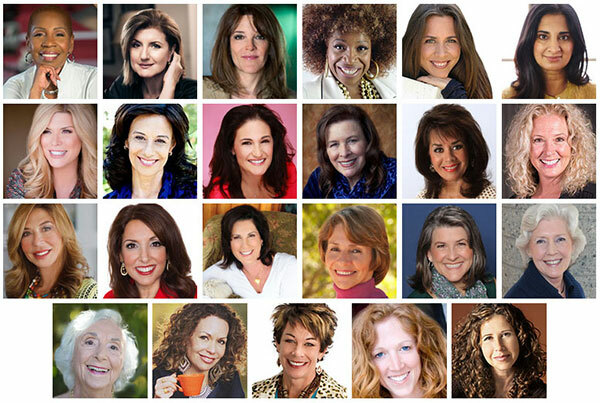 If you’re like most women in our community, you’re going to invest in personal growth and lifelong learning in the coming year, so we want to help support you to do that with this $100 off coupon that you can use toward any of our programs including the Feminine Power 7-Week Essential Course, Our 9-Month Mastery Program, Our Living Your Destiny Power Circle, Coaching, Facilitation and/or Leadership certification trainings. We’re essentially giving you $100 to REINVEST in yourself, in whatever area of development you choose. And that $100 alone is more than the cost of the entire “Shine in 2016” Collection! Start the year by igniting your Feminine Power to access the Clarity, Confidence & Power that will make this coming year your best ever. Whether you desire to create love, purpose, health, wealth or more in, you’ll receive expert guidance from Feminine Power founder Claire Zammit during this session. This session is designed to help you to clarify your vision, remove your inner barriers, connect with your intuitive guidance, and become a magnet for the support of others, so that you can more quickly and easily make the leap into your highest calling. This session will be an invaluable support to you on the Feminine Power journey! Create with your own customized “Power Statement,” so you can anchor your new unshakable connection to your power in the face of old patterns, enabling you to show up with the courage, commitment and unstoppability to ensure your success! In this set of 7 exclusive seminars, each of our core faculty members offers leading-edge insights and tools designed to provide you with deep support on your journey. We are proud to share these powerful audios including one from Feminine Power founder Claire Zammit and her close friends and colleagues Dr. Jean Houston, Neale Donald Walsch, Arielle Ford, Lynne Twist & Tammy White, Katherine Woodward Thomas and her husband Craig Hamilton, who are from world-renowned pioneers and thought leaders all in one collection to give you concrete practices, unique insights, and guidance to help you transform every aspect of your life—from Relationships and Spiritual Practice to Prosperity, Purpose and Success. You’ll receive the Complete Audio Library so you can absorb the wisdom, success formulas, and insights each mentor shares as many times as you need! Even if your financial situation seems hopeless and you feel powerless to change it, there are proven divine principles that will help you overcome financial stress and liberate you from the cycle of scarcity and lack. In this virtual workshop, #1 New York Times bestselling author Marianne Williamson cracks the code on why you haven’t yet experienced the financial freedom you deserve. She’ll show you how to heal your relationship with money and use feminine principles such as love, connection, relatedness and higher purpose to chart your path toward a sustainable financial future! Marianne Williamson is an internationally acclaimed spiritual teacher, and passionate agent of global change. Also a #1 New York Times Bestselling Author, her books include Everyday Grace, A Woman’s Worth, Illuminata, and A Return to Love. Shame, insecurity and scarcity—or fear—haunt even the most successful and highly developed women in our relationship with money and wealth. That’s because regardless of what your bank account says, you may not have the financial literacy that can truly enable you to develop a life of sustainable abundance. In fact, you probably have limiting beliefs and “money blind spots” that inhibit you from achieving the full flourishing of your feminine money power. Whatever your financial situation might be, Lynne Twist—internationally known for her work on money and sufficiency—and renowned financial literacy expert Tammy White will help you unlock your hidden barriers to wealth. According to Lynne and Tammy, the secret to wealth gets unlocked when you can bring earning, saving, spending and giving into alignment in your life. During this exclusive workshop, Claire will be working with Lynne and Tammy to develop 4 Feminine Power practices around each of these areas that will enable you to develop a healthy and satisfying relationship with money and abundance, so you can step into your highest destiny! Lynne Twist has been a recognized for more than 40 years as a global visionary committed to alleviating poverty and hunger and supporting social justice and environmental sustainability. As a fundraiser and a philanthropist, she has raised hundreds of millions of dollars and worked with some of our global billionaires on their own relationship with money, as well as with Mother Teresa and people living in abject poverty. She is the author of the bestselling, award-winning book The Soul of Money: Transforming Your Relationship with Money and Life. Tammy White is masterful at helping people uncover the reality of their current financial situation, and assists them to see ways their behaviors around money are part of a cultural habit. 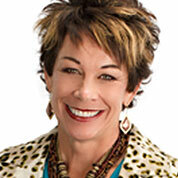 She provides distinctions that bring freedom and possibility to the domain of money. Tammy empowers people to have their money be an expression of their deepest values in a horizon of time that spans their whole life and beyond. She is a person who is clean and clear in her relationship to money and helps others locate that experience for themselves. In this select collection of seminars, you will discover powerful ways to awaken your deepest, most authentic creativity. Featuring Melissa Etheridge, Ricki Byars Beckwith, and Kathlyn Hendricks, these seminars will transform your relationship with your own creativity, igniting your passions and infusing your entire life with renewed energy, meaning, love and purpose. By enjoying permanent access to the audio recordings, you will have the opportunity to plug into this vital information anytime and any place. The benefit of listening at your own pace, and repeatedly referring to those experts and topics that most resonate with you, will reinforce important changes in your behavior and your mindset that will lead to lasting, positive changes in your life. There’s never been a better time to gift yourself with these important resources to support your deeper transformation, higher impact, and greater success! 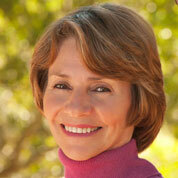 Claire Zammit Ph.D.c., is an expert transformational teacher, leader, mentor and successful conscious entrepreneur. Her mission is to empower women to fully express their gifts and talents by sharing the Feminine Power teachings that she created that she credits as the source of her own fulfillment, success and impact. She is the founder of the Feminine Power Global Community, which offers online trainings, advanced courses and coaching certifications that serve hundreds of thousands of women from more than 100 countries across Asia, Europe, South America and the US. The women in this community are coaches, mothers, artists, leaders, teachers, authors, engineers, therapists, doctors, lawyers, judges, performers, scientists, entrepreneurs, producers and more. Claire is also the co-founder and president of Evolving Wisdom, which was recognized by Inc. Magazine as #83 on the list of Top 500 fastest-growing companies in America. Faculty and guest faculty include renowned transformational teachers Neale Donald Walsch, Dr. Jean Houston, Deepak Chopra, Dr. John Gray, Eckhart Tolle, and Marianne Williamson. Since 2009, Claire’s work with Feminine Power and Evolving Wisdom has reached more than 1 million people. In addition to her teaching work in the Feminine Power courses, Claire has shared the stage with such luminaries as Elizabeth Gilbert, Brené Brown, Eve Ensler, Alanis Morissette, Marianne Williamson, Marci Shimoff, Neale Donald Walsch, Gabrielle Bernstein and Lisa Nichols. In 2014, Claire received Just Like My Child Foundation’s Women’s Leadership Award in recognition of her contributions to funding The Girl Power Project that’s now set to impact over 1 million girls with leadership and self-esteem trainings in the developing world. Claire is an active member of Jack Canfield’s prestigious Transformational Leadership Council and was the recipient of its achievement award, and she is also a participant in Deepak Chopra’s Evolutionary Leaders Forum. Powered by WordPress | Theme: EW Theme by Evolving Wisdom.